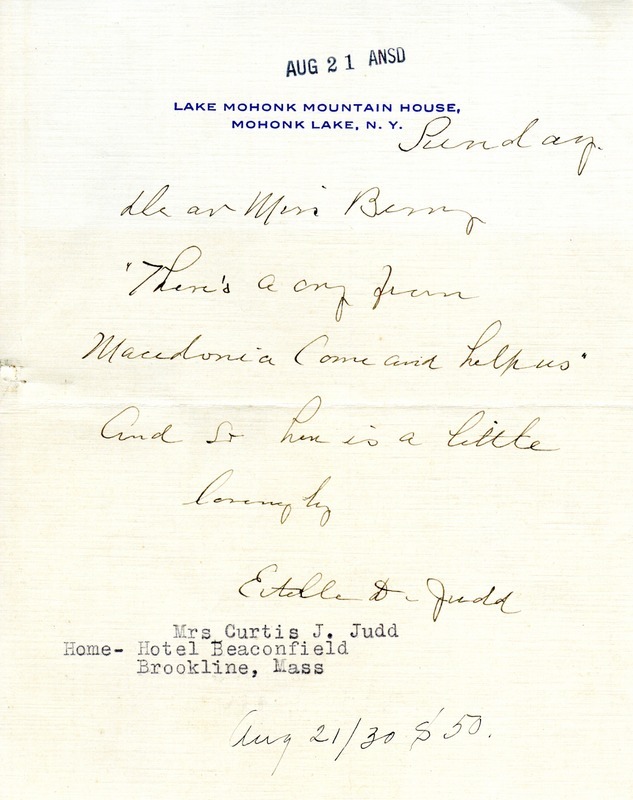 Estelle D. Judd quotes the Fanny J. Crosby hymn "A Cry from Macedonia" in sending her monetary contribution to Berry. Estelle D. Judd, “Letter to Martha Berry from Estelle D. Judd.” Martha Berry Digital Archive. Eds. Schlitz, Stephanie A., Sherre Harrington, et al. Mount Berry: Berry College, 2013. accessed April 18, 2019, https://mbda.berry.edu/items/show/13031.